Rabindra Ramanarayan "Robin" Singh ( pronunciation , born 14 September 1963) is a former cricketer who played as an all-rounder for India, especially in Limited Overs Internationals (LOIs). He is currently the coach of Indian Premier League franchise Mumbai Indians. He was known for his brilliant running between the wickets and great fielding ability. Robin Singh was born in Princes Town, Trinidad to Indo-Trinidadian and Tobagonian parents, whose ancestors were from Madras presently changed to Tamil Nadu. He moved to India when he was 19 and played his early cricket in Madras. He currently resides in Adayar, Chennai, although his parents still live in Trinidad. 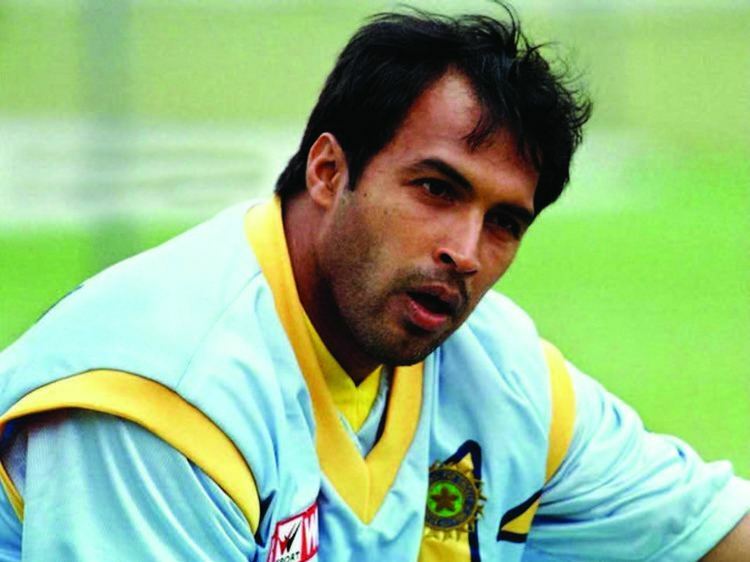 Robin Singh started his first class career for Tamil Nadu during the 1981-82 season. He was a genuine all rounder for his club and made more than 6,000 runs and also took 172 wickets with his gentle medium fast bowling during a first class career that spanned more than two decades. 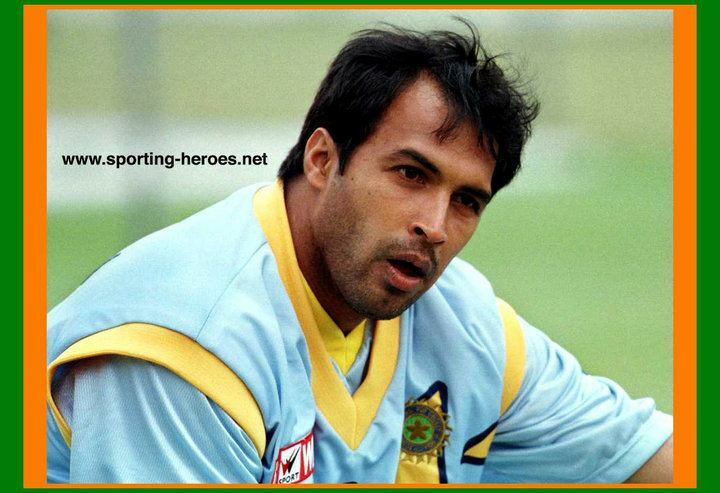 Robin Singh made his debut for India in One Day Internationals against West Indies on 11 March 1989, however he was dropped after the series. Singh had to wait another seven years to secure a regular place in the Indian team. On the back of consistent performances in domestic cricket Singh was recalled for the Titan Cup tournament in 1996. He remained a regular in the ODIs till 2001. Singh was known for his middle-lower order batting and medium-pace bowling as well as his ground fielding skills. He was noted for his batting in the closing overs (usually along with Ajay Jadeja) which made him an integral part of the side that competed in the 1999 Cricket World Cup. During his playing days, he was regarded as one of the out standing fielders of the Indian cricket team. Throughout his career Singh was considered a better fit for One Day matches and he played just one test match for his country. Robin Singh first moved into coaching when he took up the job of being the coach of the Hong Kong national cricket team in 2004. He helped Hong Kong qualify for the 2004 Asia Cup, where the team played its only One Day international matches to date. In 2006 Robin Singh was appointed the coach of India A cricket team, where he coached cricketers like Gautam Gambhir and Robin Uthappa, a number of cricketers coached by Singh moved on to play for the national team. Singh was named the fielding coach of the Indian national team in 2007 and in 2008 he was also appointed the first head coach of Deccan Chargers franchise in the Indian Premier League. Singh remained the fielding coach for the Indian team until October 2009 and is currently coach of the Mumbai Indians of the IPL, whom he led to the runners up position during the 2010 IPL season and winners of 2013 IPL season as well as the Winners of 2013 Champions League Twenty20 and 2011 Champions League Twenty20. Robin Singh also coaches USA Under - 19 squad. In 2011, Singh coached the United States womens cricket team at the World Cup Qualifier Tournament in Bangladesh. Robin Singh teamed up with Arun Kumar Layam in 2006 in New Jersey, USA and formed the Robin Singh Cricket Foundation; The mission of the foundation is to introduce the game of cricket to a whole new generation of North Americans and also to start high performance and endurance Cricket camps and Cricket Clinics in the coming year.